Did you know that playwright Glenn Waldron used to be editor of fashion magazine i-D? He certainly knows how to put an outfit together too – but this blog deals with a different kind of style. Stylistically, The Here and This and Now is an unusual and ambitious play. Each act is entirely its own entity, each time the curtain opening (metaphorically if not literally) on a new world. This makes it an exciting play to work on, but also a huge challenge. 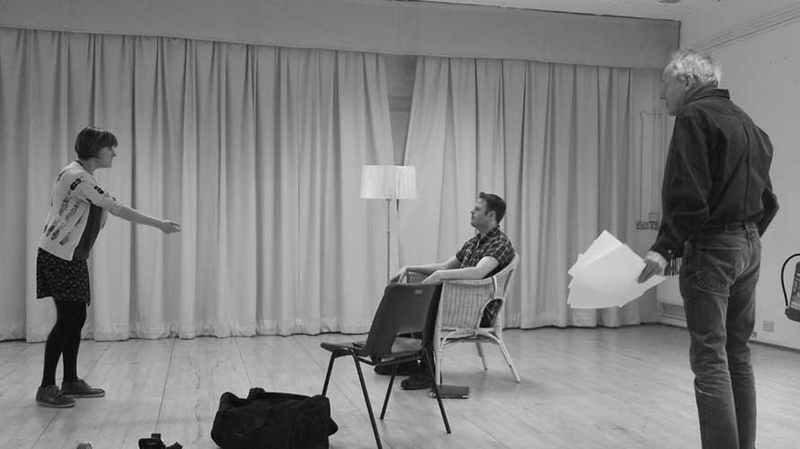 As we enter the final week of rehearsals, we are beginning to pull together all the elements of the production, finding out how the jigsaw fits together. Director Simon Stokes says: I am going beyond the writer’s imaginations in production and taking considerable risks with an audience…the rewards for creative ambition can be great but, of course, the penalties for misjudgement humiliating. So I have to take cast and creatives and writer with me and everyone needs courage, which is not always in supply at this stage. But then I figure as artists, exploring the absolute edge of where we are, we are a.) expected to have a decent idea of what we’re about and how to do things and b.) take a chance and push the envelope. There is always a safe version you can do of any play – but more interesting to delve into the depths not just of what the play is, but what theatre itself is and who and what you are as an artist. The Here and This and Now deals with the edges of humanity – the dark and tricky places that we can find ourselves in (and indeed perhaps do at this point in time). In its form, it also challenges both actor and audience, playing with provocative theatrical devices, asking searching questions of us as humans. The process from page to stage with a new play is fraught with risk, alongside the excitement of first breathing life into words and actions that have never been performed before. There is no blueprint, no previous interpretation to look to for guidance – only the instincts, investment and imaginations of the cast and creative team, shaping something new and unique from what three weeks ago was typeface on a page. The world you create for an audience in a theatre is key and style is vital part of that. Simon and designer Bob Bailey have been discussing the design for months now; in this final week, adjustments are still being made to props and costumes with every detail carefully considered. This play may not be a piece of realism, but every element tells a story, from the transitions we have created to take us into each scene to the exact pair of socks a character wears. Believe me, we have lengthy discussions about every single element! 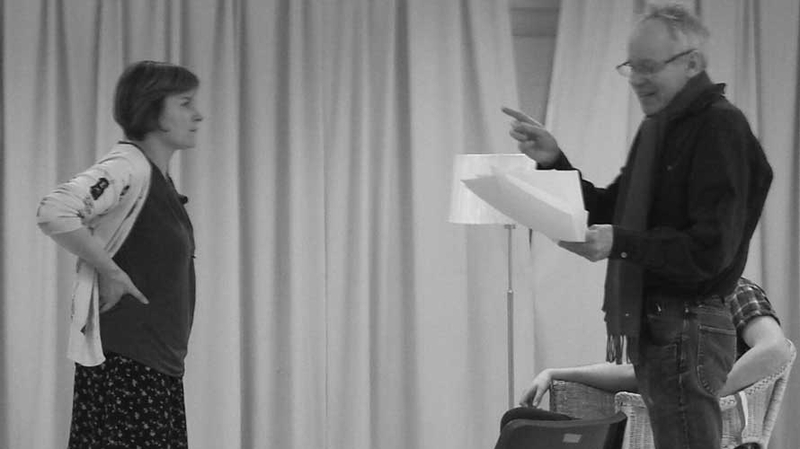 In this rehearsal process we have been exploring how to best tell a story that is in itself about the (often difficult ) choices we have to make in life. In order to tell it, we have to have courage in our own choices and invite the audience to come with us on a journey without, at this point in time, quite knowing where we might end up.